Petals Polly Flowers is a family business who design and create a wide range of wedding flowers, from silk bridal bouquets to flower decorations. They specialise in artificial flowers, hand-made to the bride’s design and colour themes. At HeadRed we have completely redesigned the website to give it a fresh new look. Flowers are natural therefore the website now has natural feel to it with softened graphics and font. The development team have also improved the e-commerce system, making the product pages much more visual and appealing. 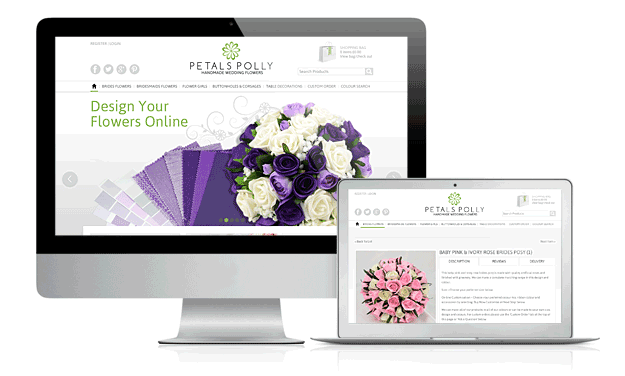 Take a look at Petals Polly’s new site, visit: http://www.petalspollyflowers.co.uk/ and let us know what you think!